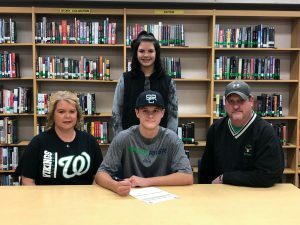 Congratulations to Collin Salyers as today he signed his National Letter of Intent to play baseball at Spoon River College in Canton, IL in the fall 2019. Collin will play for head coach John Dyke in the M-WAC conference. Salyers will focus this spring on catching the Viking pitching staff.